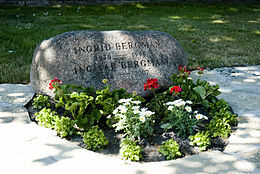 When asked in the series of interviews later titled "Ingmar Bergman - 3 dokumentärer om film, teater, Fårö och livet" conducted by Marie Nyreröd for Swedish TV and released in 2004, Bergman said that of his works, he held Winter Light, Persona, and Cries and Whispers in the highest regard. There he also states that he managed to push the envelope of film making in the films Persona and Cries and Whispers. 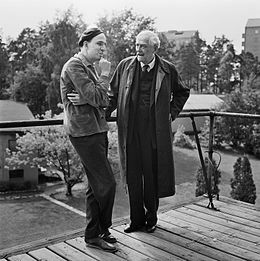 Bergman stated on numerous occasions (for example in the interview book Bergman on Bergman) that The Silence meant the end of the era in which religious questions were a major concern of his films. 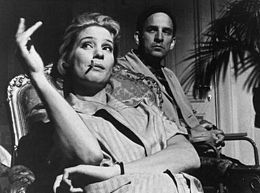 Bergman said that he would get "depressed" by his own films and could not watch them anymore. In the same interview he also stated: "If there is one thing I miss about working with films, it is working with Sven" (Nykvist), the third cinematographer with whom he had collaborated. ^ French, Philip (5 August 2007). "Twin visionaries of a darker art". The Observer. Retrieved 15 May 2017. ^ Mercury (9 May 2010). 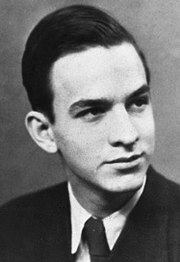 "Philosophy of Science Portal: Film maker on film maker...Martin Scorsese on Ingmar Bergman". 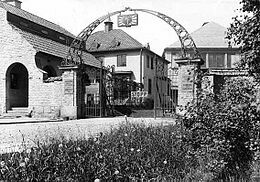 Philosophy of Science Portal. Retrieved 16 March 2019. ^ Fristoe, Roger. "Torment (1944)". Turner Classic Movies, Inc. Retrieved 28 March 2017. ^ "The 46th Academy Awards (1974) Nominees and Winners". oscars.org. Archived from the original on 15 March 2015. Retrieved 31 December 2011. ^ Koskinen, Maaret (1 April 2010). Ingmar Bergman's The Silence: Pictures in the Typewriter, Writings on the Screen. University of Washington Press. ISBN 9780295801957. ^ Rafferty, Terrence (8 February 2004). 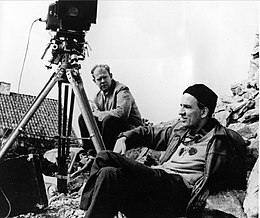 "FILM; On the Essential Strangeness of Bergman". The New York Times. Retrieved 19 February 2017. Steene, Birgitta (1 January 2005). 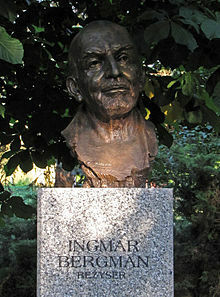 Ingmar Bergman: A Reference Guide. Amsterdam University Press. ISBN 9789053564066.